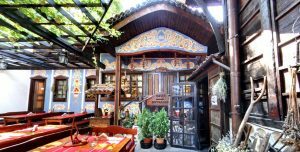 Traditional Bulgarian restaurant at the center of Sofia in a complex of restored 19th century houses close to the central station. 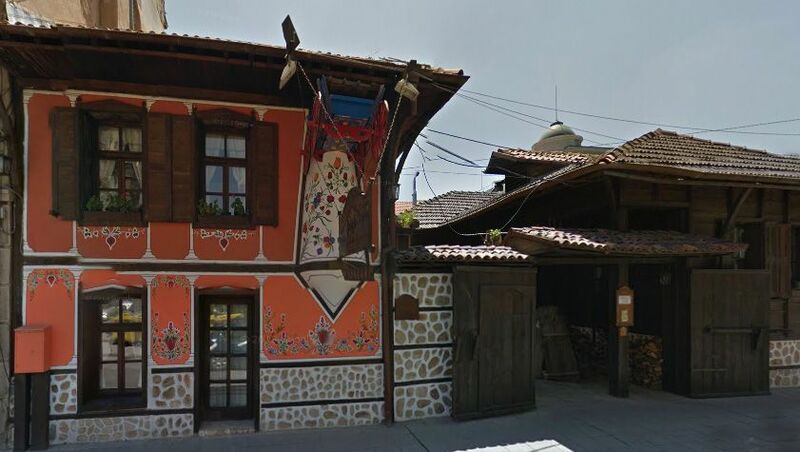 There are four themed houses named after the typical architectural styles in the beautiful towns of Bansko, Melnik, Zheravna and Koprishtitsa with a joint yard and a beautiful Summer garden. Traditional Bulgarian cuisine and rich wine list with Bulgarian wines, open fireplace and live folklore music. 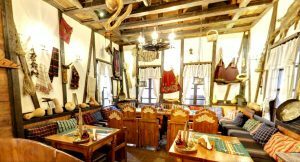 “Hadjidraganovite kashti” the way Bulgarian people pronounce it (means Hadzhi Dragan’s Houses) is like a time machine that will take you to the old days of 1866 year and you will get the chance to learn about the customs and culture of the country and to experience a culinary journey with Bulgarian specialties. 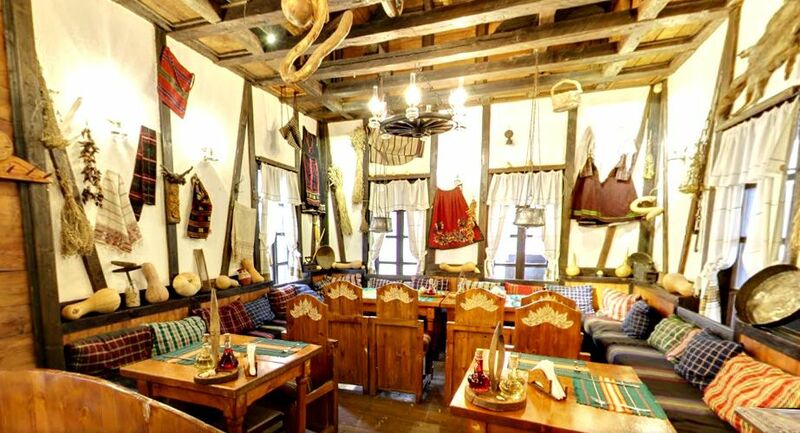 The legend says that Hadji Dragan – a trader of wool and silk – lived a hundred years ago. He traveled around the country for a lot of years and went round a lot of districts. He was greatly impressed at the beauty of the Bulgarian houses during his journey, each of them being with its own appearance and style and he decided gather all this beauty in Sofia. Then Hadji Dragan called the masters and conducted a competition who would build the most beautiful house. The masters got down to work and the construction commenced. 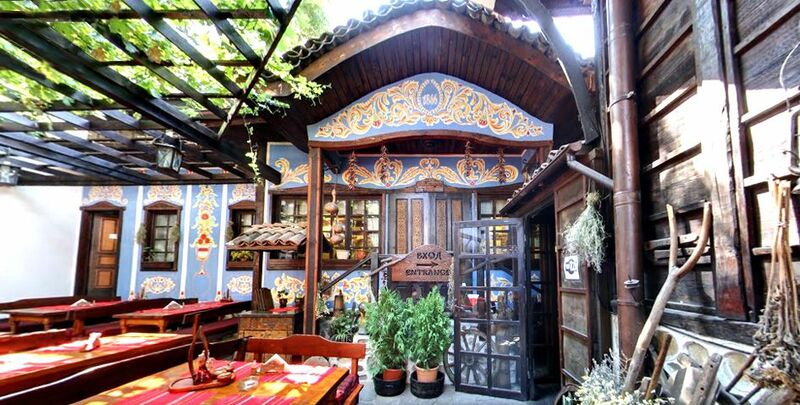 This is the short story of the restaurant from 1866 year. 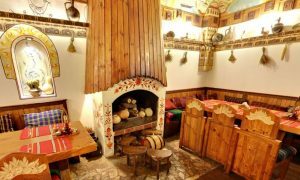 As the guest could suggest the menu includes an astounding range of traditional Bulgarian specialties of many types of meat (lamb, veal, pork, chicken, fish), vegetable meals and desserts, complemented by an impressive variety of Bulgarian wines and rakias. There are few unique specialties that you can try nowhere – whole chicken prepared in big clay egg, the porcini soup served in a bowl of bread or giant Voevodska sofra for 10 people! 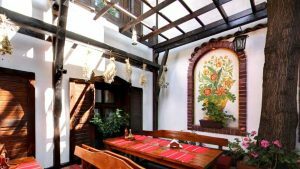 As a place where culinary traditions are alive, the team of the restaurant with Chef Borislav Hristov started in the beginning of 2016 year an initiative ‘Blazno i postno’ – very old traditional recipes that guest could taste as a special proposal. 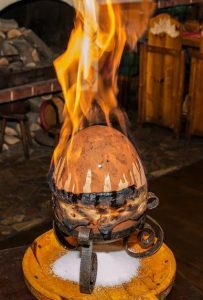 ‘Blazno” means that in the meal there is some type of meat, as well as ‘Postno’ means meal without meat. 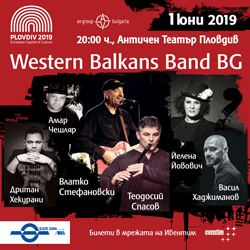 Live folklore music is performed by three talented musicians every day from Tuesday to Saturday and everyone who is eager can join the fun and learn how to dance “horo” like a real Bulgarian. In summer you can enjoy the relaxing atmosphere of the green garden just a step left from the noisy streets. 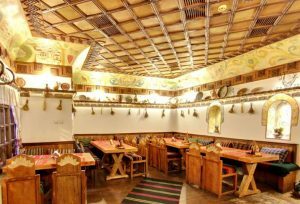 Address: 75, Kozloduy street (near Ramada hotel and Lions’s bridge). 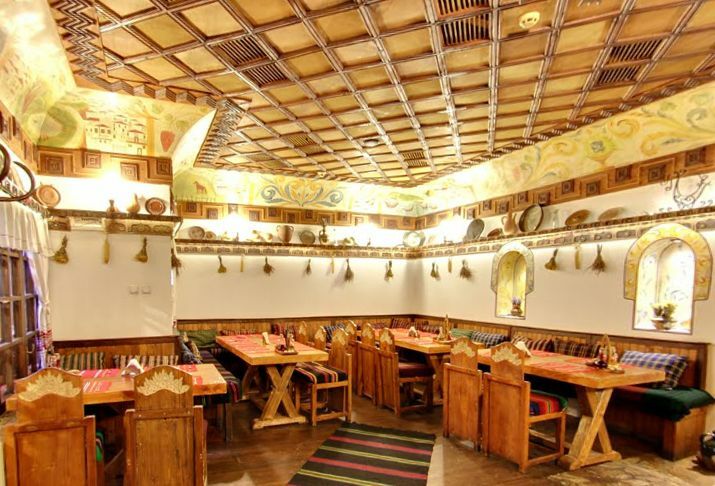 Walking distance from a metro station Lion’s Bridge (Lavov most).